Fla. lawmakers want schools to do more to protect kids from lead exposure, but who will pay for it? A bill aimed at protecting students from lead in the water at school passes its first hurdle unanimously, but questions remain over who will pay for the fix. 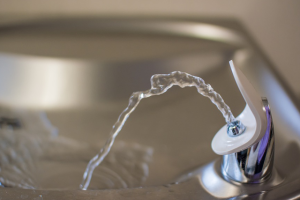 The discussion centered around school drinking water and in front of lawmakers, support flowed for a proposed new law that would require K-12 public schools in Florida do more to protect students from lead-laced drinking water on campus. Medical experts say the metal toxin can pose a threat to children's health. "There is no controversy over this legislation," said Dr. Ron Saff, a Tallahassee allergist, immunologist and environmental activist. "Nobody has ever said, no, we need more lead in drinking water." Saff has been advocating for the state to do more to protect the public from lead exposure, especially children. 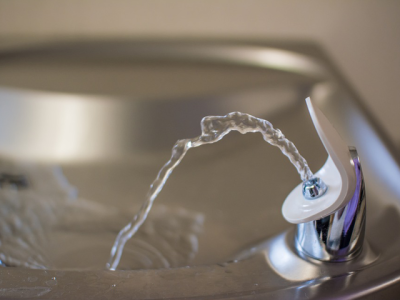 If approved, the bill would require public schools built before 1986 track and monitor water fountains and sinks used by students. The bill would also require these schools install approved water filters to filter out lead particles from corroded pipes. It's a short-term fix following months of lead-making headlines around the state. Across the country and around the state, lead-contaminated drinking water has put schools in the spotlight and under the microscope. Last fall, the Hillsborough County school district made headlines when 54 of its schools tested above 15 parts per billion, the federal standard for action. In November, our statewide investigation found 68% of Florida school districts do not test for lead in drinking water on campus or only partially test. But the bill, filed by Tampa Senator Janet Cruz, could bring added costs to school districts already strapped..
"This is a no brainer. We should pass this bill but it's not fair to our young people to say, well let's just leave it up to school districts to do this," said Florida Senator Bill Montford, a Democrat who represents the Tallahassee region. In Pasco County, 34 schools would require water filters under the bill and early estimates puts its costs at $400,000 not including annual upkeep. Wayne Bertsch of Pasco County schools expressed his concerns to lawmakers during an education committee meeting on Tuesday. "We're already scratching to keep money together for teacher increases as well as meeting the new security needs from last year's security bill," he told lawmakers. But Jennifer Rubiello, Director of Environment Florida, is hopeful the state will fund the filters. In 2017, the group gave Florida an "F" for its lack of consistent policies on testing for lead contamination. It published all its findings in a report the group named, "Get Out the Lead." "This is when we have to work together. You can't put a dollar amount on children's health." The Florida Superintendents Association supports efforts to reduce lead in schools but is also concerned about costs on districts. A spokesperson for the Florida Association of School Administrators told us "Florida’s public school administrative leaders support statutory provisions that allow schools to educate our students in safe classrooms led by high quality teachers." The bill needs to pass a number of other committees before it reaches the floor for a final vote. Share your news tips and story ideas with WPTV's investigations team.